Tap the Watered Faucet, drink a cup of water and reap the benefits of one of the greatest health foods of all time! Water. Water is the single most effective prescription for well-being, weight-loss, improved health, youthful complexion, disease prevention, potentially reversible stages of degenerative diseases — and finally the best pain medicine in the world. It needs no doctor's prescription. It is freely available. It costs nothing. It has no dangerous side effects. It is the medication your body cries for when it is stressed. It is good old plain, natural water. * Increases energy & relieves fatigue. * Puts you in a good mood. * Memory and brain booster. * Prevents cramps & sprains. 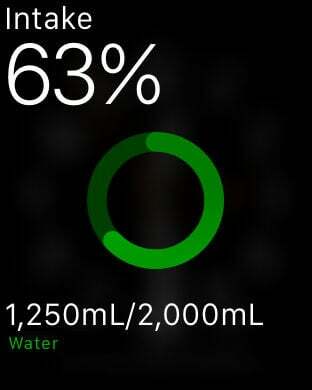 Watered is the premium water log and tracking app. 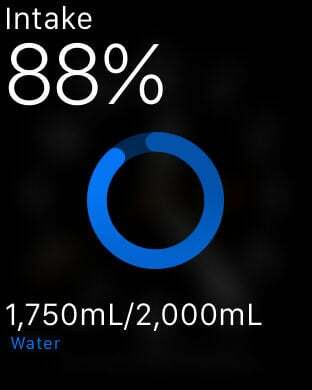 It lets you track your daily water consumption for improved health. * Beautiful, simple and clean interface. 16 different colour themes! * Fun water animations. Tap the faucet (or cup) to add a drink. * 1-Tap and you're done. 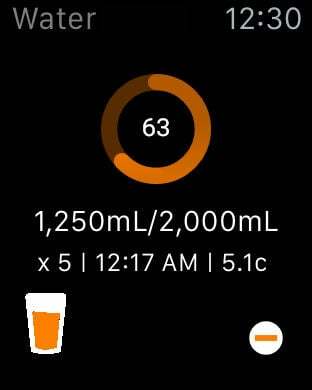 Only one tap is needed to add a drink. * Reminders with a large variety of sounds to choose from. * Badge options include: cups, percentage or volume (intake or remaining). * Historical data in list and chart view. * Statistics include average, sum, minimum and maximum. * Forgot to add a drink? 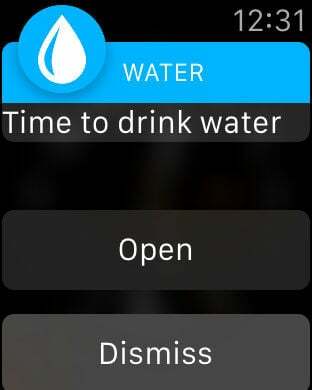 You can add and delete drinks from past days. * Variety of unit types: millilitres, litres, ounces, cups, pints, quarts and gallons (Imperial and US). * Today Extension / Widget (iOS8 and up). * Integration with Apple Health to share water data (iOS9 and up). * More features coming soon! Convinced? Now go ahead and tap the Watered Faucet. Water, it does the body good.